Life Music Laughter: Cheese Zucchini Fries, This will Make them Eat Their Veggies! 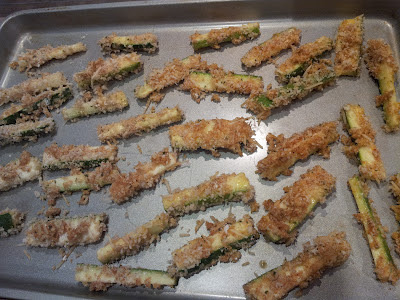 Cheese Zucchini Fries, This will Make them Eat Their Veggies! Vegetables have never been very popular in my house. Heck, they're probably not very popular in a lot of houses! The problem is, we are really trying to make an effort to eat healthy, and vegetables play an important part in eating healthier. This time, I found a definite winner! 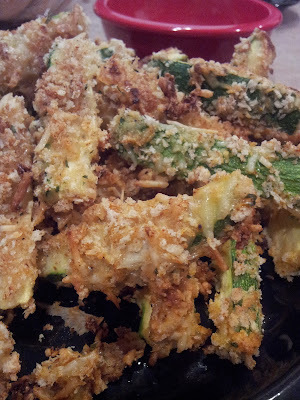 These cheese zucchini fries were gone in less than 5 minutes! I cut the zucchini into thin strips and then cut those in half. This is a very messy process, but it might be fun to do with kids because, you know, they love to be messy. Plus, playing with their food and helping to prepare a meal gives them a sense of pride and teaches important cooking skills early on. After coating the zucchini in the cheese bread crumb mixture, place them in a single layer on a cookie sheet. Bake at 425 for 10 minutes then flip them over and bake for another 5-10 minutes. The finished fries are crispy and cheesy, and they taste delicious! We dipped ours in ranch dressing, but they are good all by themselves. 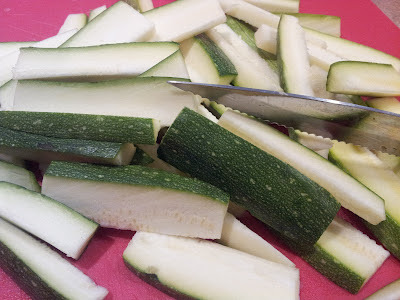 Hubby says this is his new favorite zucchini recipe, and my daughter wanted to know when I would make some more. I'd say we have a hit! The best part is, nothing about it tastes healthy, and this is something I'd pay big money to have as an appetizer if we were eating out, but it costs only a few dollars to feed us all at home. 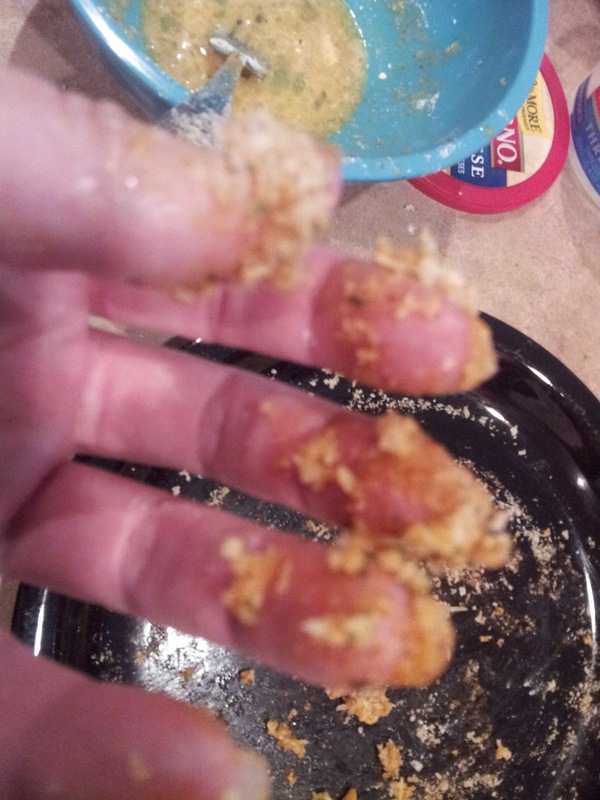 We love veggies .. but that won't stop me from trying your great recipe. Looks yummy. Thanks! Yum! I know we will have some zuchinni around here soon - can't wait to try this out!